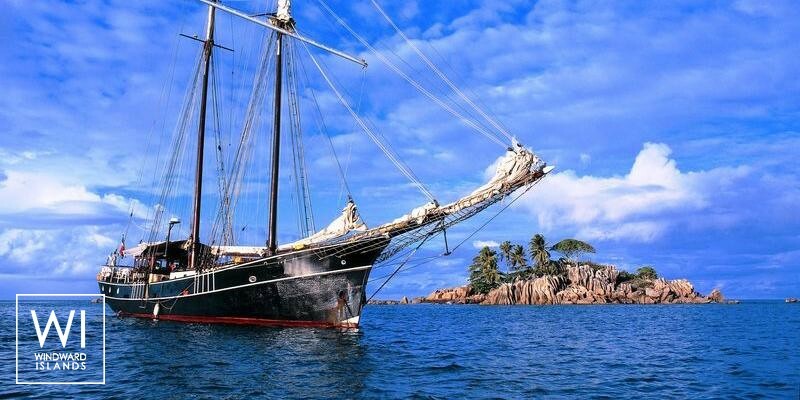 On board of a traditionnal Dutch schooner from the beginning of the XXth century, you'll discover Seychelles just like the first sailor did after a long journey. 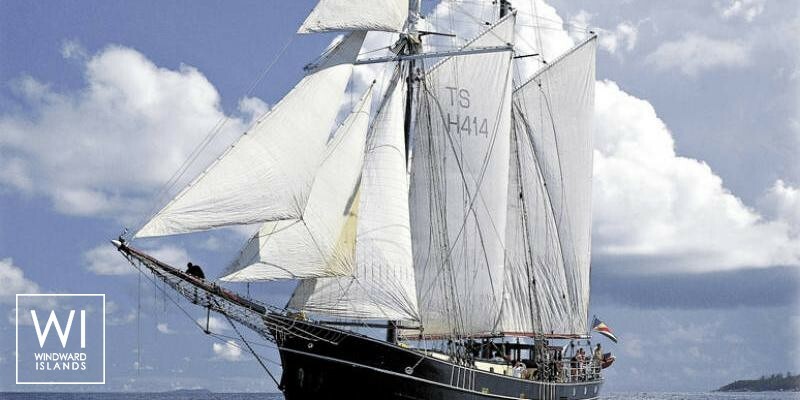 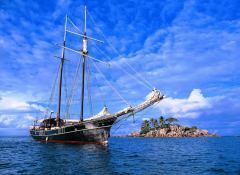 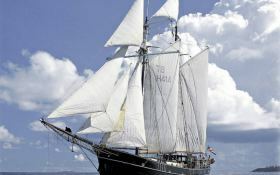 Thanks to the twin masted top sailed rigging, cruising is soft and pleasant. 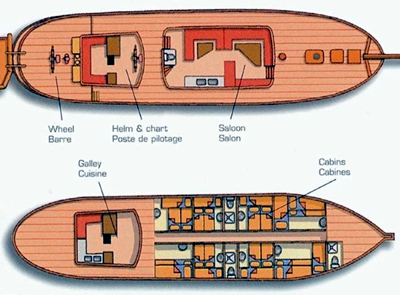 The 8 double and fully air conditionned cabins welcome up to 16 passengers. 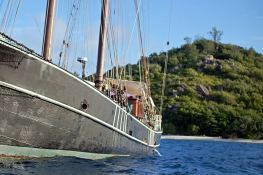 The activities on board: Snorkelling, surfing, waterskiing, kayaking and of course scuba diving thanks to the material rented on board. 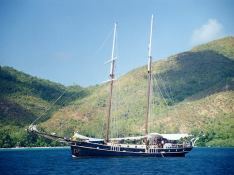 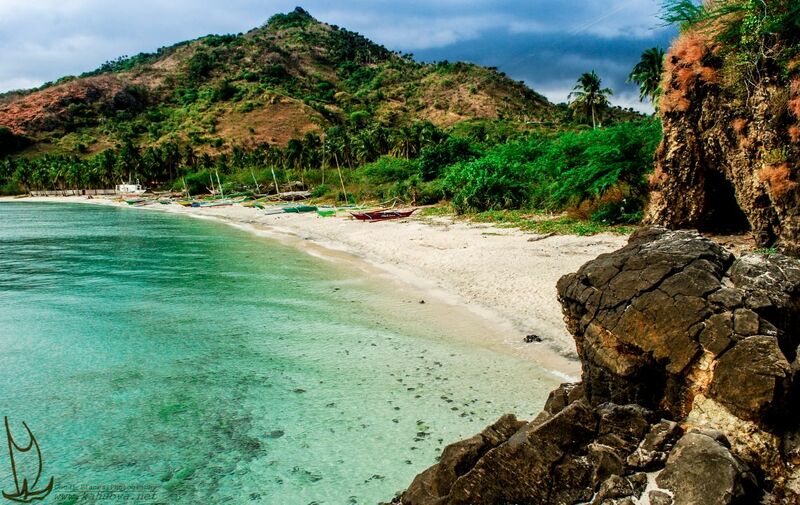 The boat is a PADI center and among the crew there are several a diving instructors. 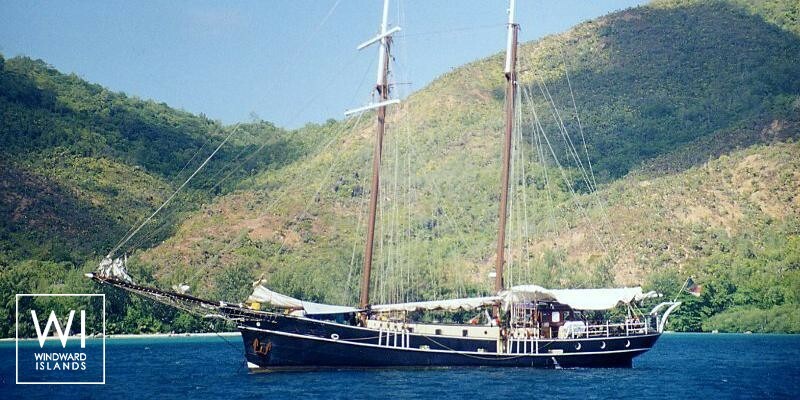 After your dives or other activities, the chef will gather everyone around the table to enjoy traditionnal Creole food.This crewed sailing yacht is available for yacht charter with a base price of 24 100 € (approximatly 27 179 $).